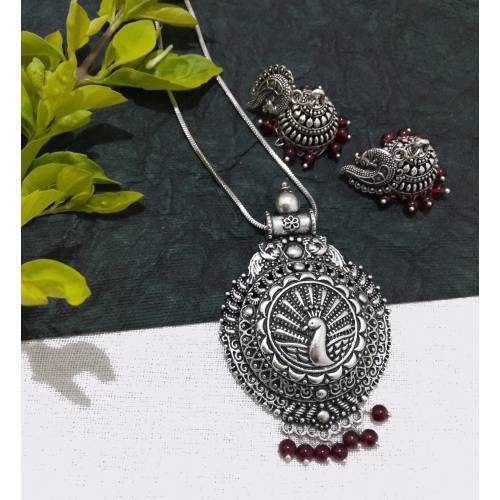 Crafted to absolutely stunning and flawless, this pendant have been fashioned into a classic Pendant design and embellished with textured details and tiny Maroon Beads. Perfect design execution and finish make these stunners an absolute must-have for all fashionable ladies. 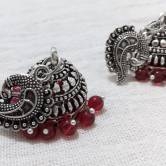 Brass has been used in the making of these earrings, which have been given an oxidised silver plating.